So I mentioned that Kerry-Anne has a fixation for vinyl. It's not that we have an awesome modern high-quality record player. We have a dusty old hand-me-down one with exposed wiring and a sawn-off pencil as the center peg (to keep the LP from spinning off the deck). I remember years ago rummaging though records at street vendors outside the Cape Town station - but that was back in the day when cassettes were the only other option. It's more tricky to find LPs these days - specifically new releases. 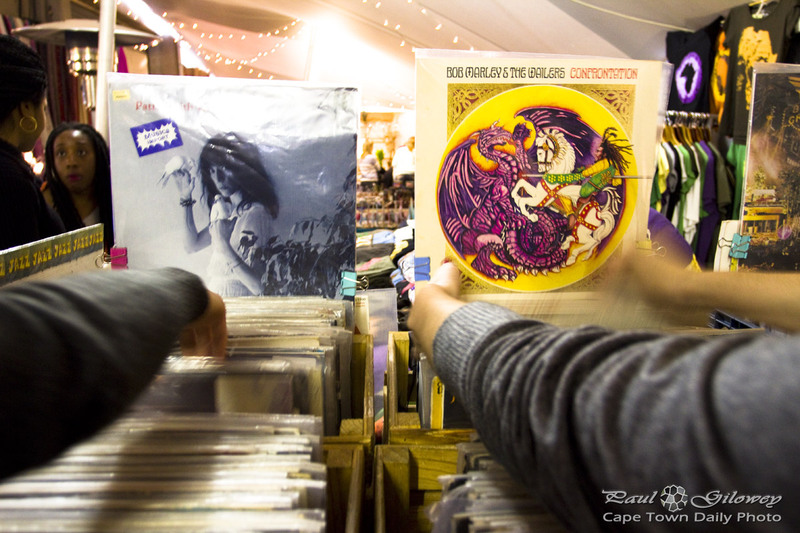 If you're into vinyl, and living in Cape Town, then I suppose you'd already know about Revolution Records and Maby Vinyl. Besides for flea markets, do you know of any other shops that sell vinyl? Posted in General on Sunday, 4 August, 2013 by Paul.